The 2011 Catalog has arrived! 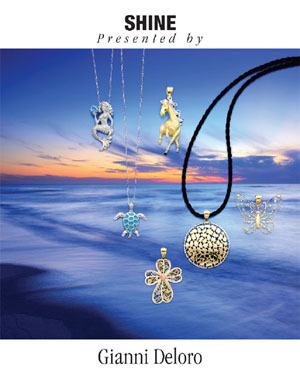 Gianni Deloro is proud to present the anticipated Brand New 2011 Catalog! This year we were sure to pack our catalog with Collections like our infamous 14k Filigree Sets to our Nautical & Sea Life Collection in both Sterling Silver & 14k! We even included our expanding line of Religious Jewelry as well as the 14k Plumeria Sets! Printed just in time for the Holiday Season in November 2011, our team was sure to carefully select our top sellers and include only the best in the catalog to ensure there is something for everyone! Extending our collection even further, we came out with our latest catalog in December 2010 which displays some of our older bestselling pieces along with many new and exciting collections and designs featuring pieces in Silver, Gold and colored stones! With affordable prices ranging anywhere from $10- $300, you're sure to find something that will catch your interest. Whether it be a piece from our filigree collection, older more popular pieces, or a beautiful charm from our Sterling Silver Blue Topaz collection! 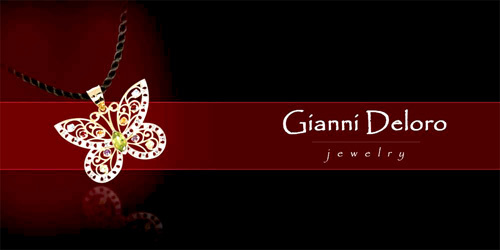 Displaying some of our original designs and bestselling items, our smaller catalog which came out in 2009, features some of the designs that truly represent what Gianni Deloro is about; style and creativity! Not only are some of the pieces in the catalog the most successful items, they are designed by our very own designer Zaven D., who incorporates passion and originality into each piece. Using the latest CAD CAM Technologies and casting techniques our pieces are truly unique in every way.